Melbourne-based syndicator Forza Capital will purchase a near-empty office building in central Brisbane for about $22 million. The 13-storey building at 420 George Street, which was built in 1975, is prominently positioned on the corner of George and Tank Streets directly opposite the new Supreme Court House. 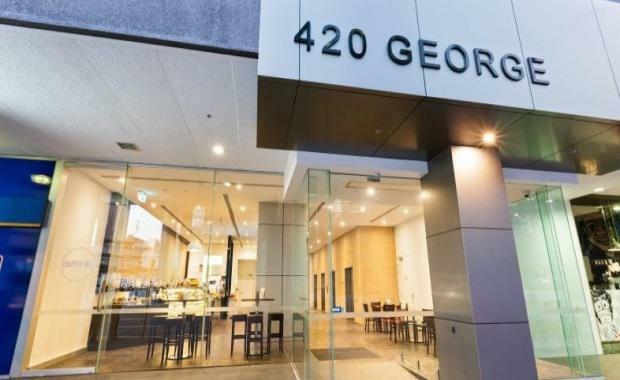 It has a net lettable area of 6422-square-metres and was marketed as an opportunity to value-add or convert to a hotel, student accommodation or residential apartments, the Australian Financial Review reported. Forza will make the building the first asset of a new commercial office fund it plans to launch. Following its recent major refurbishment in 2007, and lift modernization in 2011, the building is again undergoing refurbishment that will complete its transition into a modern PCA 'B' Grade Brisbane North Quarter property. Forza, led by Adam Murchie and Ashley Wain, also owns a number of other Brisbane assets including teh 340 Queen Street office tower, and and office building in Fortitude Valley, which it plans to convert into 260 apartments. The acquisition comes amid a falling Brisbane office market which forecaster BIS Shrapnel warned earlier this week was more than 30 per cent overpriced. The office was left largely vacant in 2014 when the Queensland Government changed its office strategy.